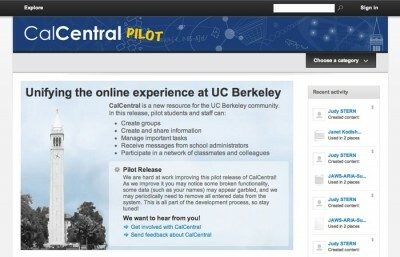 Though UC Berkeley is making efforts to stay on the frontlines of online education through its pilot program, the UC Online Instruction Pilot Project, as well as with a worldwide company that provides online courses called Coursera, some campus faculty believe the university could do more to provide better online education for its students. UC Online, run by the UC Office of the President, seeks to provide students throughout the UC system with access to online courses. The program was first implemented in January and has offered 10 courses since then, ranging from general education to science and social science courses. According to current program director and UC Davis professor Keith Williams, UC Online will expand in the fall and continue to provide courses throughout the university on a rolling basis over the following semesters. Coursera, founded in 2001 by Stanford professors Andrew Ng and Daphne Koller, hosts 111 courses from 15 public and private universities, such as Stanford, CalTech and Princeton. Although students cannot receive credits toward graduation, the website allows students from around the world to enroll in the courses for less than $100 and receive a certificate upon course completion. Williams said UC Berkeley is beginning to look into offering more courses through Coursera, but any involvement with the website would only complement UC Online. But the university’s online engagement is perhaps lagging compared to other top universities around the country, according to political science professor and outgoing Berkeley Faculty Association Co-Chair Wendy Brown. In the letter, Brown also requests more transparency in the UC Online program, asking for clear details to be released on how a $6.9 million loan that UC Berkeley School of Law Dean Christopher Edley — former leader of the project — and UCOP Vice Provost Daniel Greenstein originally received to fund the pilot should be paid back. UC spokesperson Steve Montiel said in February the loan will be paid back to the Office of the President by fiscal year 2018-19. However, in April, the campus announced an oversight group comprised of administrative and faculty leaders including Executive Vice Chancellor and Provost George Breslauer and Vice Chancellor of Administration and Finance John Wilton to design and implement online-education offerings. Staff writer Mateo Garcia contributed to this report.